The nice thing about being part of a Home Church is that we are not hindered, nor inhibited about studying subject matter that makes traditional Churches squeamish or nervous. We are not afraid to ask questions that arise from our deep dive study of the Word. We are not limited to long-established doctrines that leave no room for growth in our understanding, and if it is a subject that is presented in the Word, then nothing is outdated or obsolete. If it's in the Bible, then it's there for a reason, and God wants us to know about it and understand its place in His Kingdom. So that brings me to the often misunderstood, criticized, exploited, and ignored subject of Healing in the Bible. 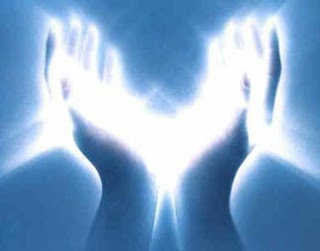 I think many in this Church generation tend to look upon Healing from a spiritual perspective, and physical healing is looked upon with suspicion; as the territory of charlatans and con artists. But that is putting the miracle of Healing in a box, and limiting its full potential. That being said, there are many Christians today who are discovering some obvious truths in the Bible about Healing; new understanding that has been buried by the traditions and conventions of established Church doctrine. For instance, a careful and deliberate study of Scripture reveals that a great deal of Christ’s time was dedicated to healing the sick. And the record of those He healed is extensive: the blind, the paralyzed, the lame, the deaf, lepers, those who had fevers, and many with chronic illnesses. 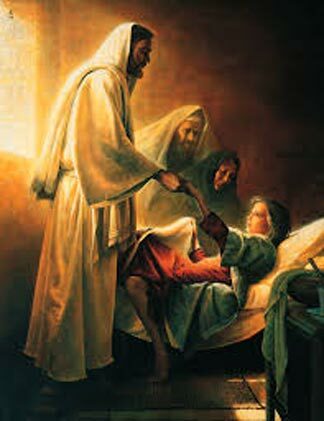 If our Lord devoted that much of His precious and short time on earth to healing, then there must have been a reason He did it, and a purpose for it, right? Have you ever noticed, when reading the Gospels, how many of the accounts of Jesus have Him healing someone as His first act upon entering a new town? Jesus knew that healing the sick -- especially someone who had suffered for many years -- would call attention to Himself and would give Him a relevant platform from which to share His message of the Kingdom of God. In other words, He grabbed the audience's attention, so to speak, with a miraculous physical healing, which would make it easier to transition to the fact that we all need spiritual healing -- and both come from our Father in Heaven. This is a pattern that He used throughout His ministry. Another example is declaring that He is the Bread of Life, followed by feeding 5,000 people with a few loaves of bread. Healing the physical needs of men also allowed Him to proclaim His Authority from God. Follow this train of thought, if you will... while Jesus did not declare that there was a "cause and effect" between sickness and sin, He invited the newly restored person to be “well” and sin no more. That word ["well"] means not only physical healing, but “to save, rescue and liberate, as well as to heal and preserve.” That description fits our need to be healed from our sin. But there is only One who has the Authority to forgive sin—and that is God, the Father. But you will recall that Jesus plainly taught. "All Authority in heaven and on earth has been given to Me" (Matthew 28:18). And it is clear to me that He has transferred that Authority to those who believe in Him and follow His commandments. He says as much in Luke 10:19: Behold, I have given you authority to tread on serpents and scorpions, and over all the power of the enemy, and nothing shall hurt you. I believe that Jesus fully expected that authority to be used when He returned to the Father. He told us in John 16:7 that it is to our advantage that He went away, so He could send The Helper. And with the presence of the Holy Spirit came the ability to perform greater miracles than when Jesus walked the earth. That's why He proclaimed, Truly, truly, I say to you, whoever believes in me will also do the works that I do; and greater works than these will he do, because I am going to the Father. I want to take a minute and point out two aspects of these Scriptures that I know is overlooked. The first is that when Jesus says, BEHOLD, He is using an imperative verb, which means, Be sure to see this... or ... Don't miss this! It is an observable fact! And when He says TRULY, TRULY, I SAY TO YOU, He is indicating that this is an important Truth; that the truth Jesus is telling is significant and important to listen to. So the attempts by the modern world -- both secular and in the Church -- to dismiss that He gave us authority, or that He didn't really mean that we would do the things He did (heal the sick, cast out demons, spread the Message of the Kingdom of God) -- and do them in even greater numbers -- is simply not borne out by the expressions He used. It is very clear to me that Jesus intended for His work to continue, not only through the Apostles, but through all Believers after He returned to the Father. Why can't we see it as the disciples in the Early Church did? (And by disciples, I mean the body of followers of Jesus; not limited to the 12 Apostles). They were full of the Holy Spirit and they believed that His Authority could flow through them with the help of the Holy Spirit, and people could be physically healed. And then, just like Jesus, they could take that opportunity to extend a word about healing souls and spirits from sin. Put very simply ... they believed the Word from the Lord and they were fully obedient. They fully expected to see Him work through them. Not only are we not obedient to His command, but we don't really trust Him to be able to work through us. But I am happy to tell you that this is changing in the Body of Christ! More Christians are awakening to the Authority that has been given to us, and are stepping out in faith to do the works of Jesus. In the major city of Austin, Texas, The Light House is a monthly Healing Room event where participants ask God to heal them in specific ways. Trained intercessors surround them and join them in prayer. Miracles abound! And the numbers are growing! Furthermore, just within our small Home Church of 20 plus people, three people have taken the leap in faith to trust in the power of Jesus [working through them] to heal the afflicted. They have taken the time to study with mentors who Biblically teach them about their authority to heal, as Jesus did. They know it is not them healing, but Jesus. They are simply willing to use the Authority He has given them to be the conduit. But we must go further in this discussion, and consider why everyone may not be healed. There are reasons ... faith must be considered, but it cannot be said that if someone is not healed, then their faith is weak. God is Omniscient and He may have reasons why the power of Jesus does not immediately heal someone. It may be a time of challenge that ultimately draws you nearer to God; or it may be that God's perfect healing is to take you Home. The only response to have when considering the power of Jesus to heal is, "What ever brings You glory, Lord. I know that you do not desire that anyone be sick, so it is not a matter of whether it is Your Will or not. I will trust that whatever the outcome might be, that it is to bring You Glory. It’s not about me. It’s all about Jesus." Frankly, it excites me to see the Body of Christ coming into their full power and authority from Jesus! Lord knows that this world could stand to see some "serpents and scorpions tread upon". Because we in the Western world have seen nearly every display of technological wonder, there's not much that impresses us anymore. But the power of Jesus can surpass anything manufactured by man, and we in the Body are beginning to come into our authority and display the power of heaven on earth. And extraordinary miracles are being performed... just like Jesus said they would! Acts 4:30 "While You stretch out your hand to heal, and signs and wonders are performed through the name of Your holy servant Jesus." Studying John in my weekly bible study (BSF). So far, Jesus provided the blind man with sight and raised Lazarus from death. I'm beginning to see the pattern. Yes, and now that you can see the pattern, I think you will be amazed at how often it is repeated! There is a message for the modern Church in all this --- our Lord is showing us by example how the Kingdom God on earth is to be administrated. Looking for a "like" button for your reply. Guess this will have to do! Take care!